Rose Williams (1915-2015) wass one of the great matriarchs of Navajo pottery. Shew as from the Shonto/Cow Springs area of the Navajo Reservation. Rose was an adult when she learned to make pottery, but continued doing so for over three decades. 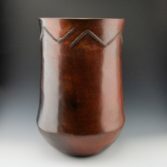 Her children, Alice Cling, Sue Ann Williams, and Susie Williams Crank, and her daughter-in-law, Lorraine Williams, are all recognized potters. The Lók’aa’dine’é Clan (Reed People) in the Shonto/Cow Springs area has long been recognized for its pottery making, and many of the present-day potters or their spouses—Silas Claw, Faye Tso, Rose Williams, and Alice Cling—are members of this clan. 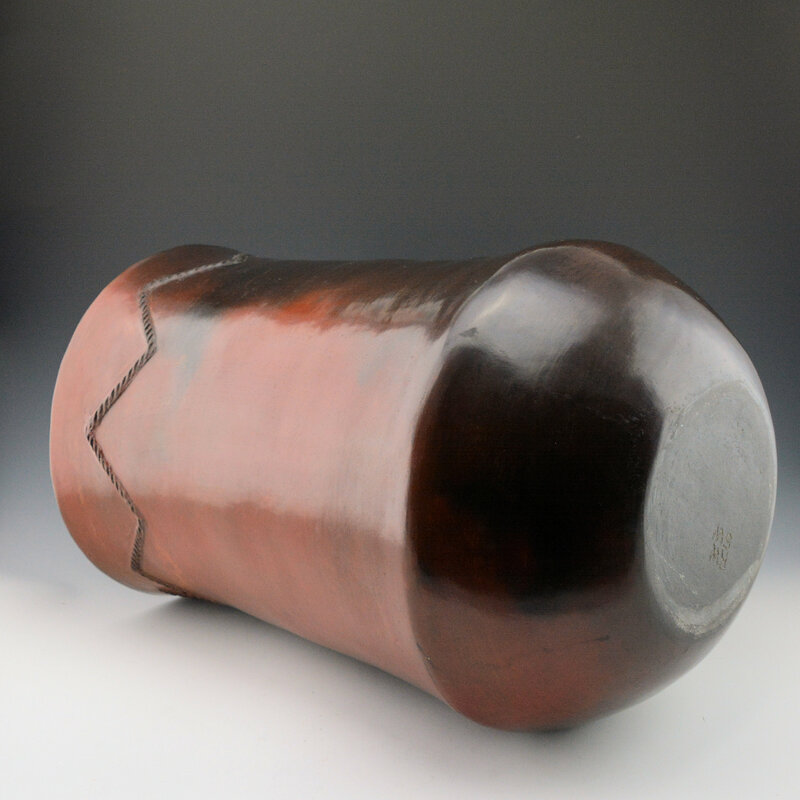 This is an exceptionally large piece of her pottery in collaboration with her daughter, Susie Willams Crank. It is fully polished and traditionally fired. 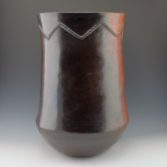 The shape is based on traditional Navajo pottery with the low shoulder. Around the rim is a raised relief mountain design. 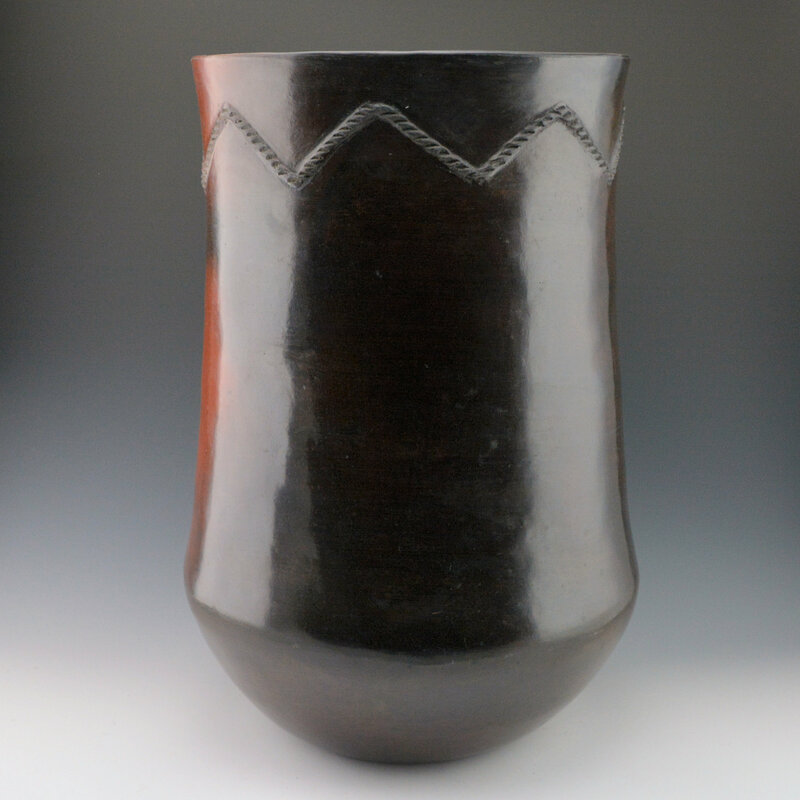 The jar is traditionally fired and afterwords covered in pine pitch. This was a traditional method historically to make the pottery water-proof. Today, potters continue this process as a testament to the past. 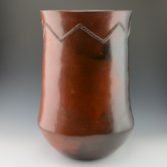 The jar is signed on the bottom in the clay by both potters.